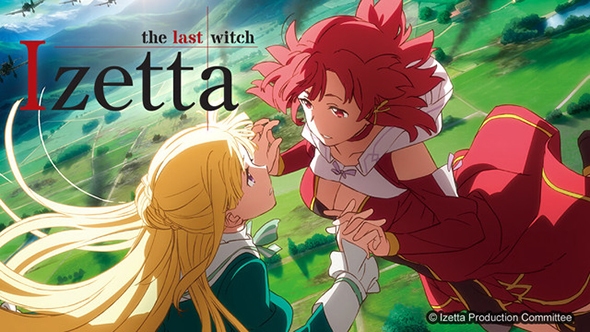 Izetta: The Last Witch is a 2016 anime series set in an alternate version of Earth, set just before WWII by Ajia-do Animation Works. 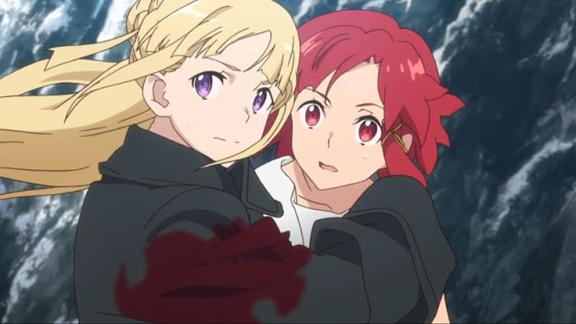 In it, a princess of a small country called Eylstadt, Princess Ortfine, works to protect her country with the help of a magical witch named Izetta, who Ortfine met when she was a young girl. In this universe, the countries of the world are similar but different to their real life counterparts, and the starter of the WWII conflict is a country called “Germania.” After taking over several of their neighbor countries, Germania is about to invade Eylstadt. Princess Ortfine is fleeing their forces by train, and in the midst of an impromptu fight with Germanian soldiers, stumbles upon a strange chamber keeping the witch, Izetta, captive under Germanian possession. Ortfine releases Izetta and they escape the train using Izetta's magic, as Izetta is the last descendant of a line of powerful witches that have inhabited the world for centuries. This review contains mild spoilers, so continue only if you wish. The plot follows the two girls, as Ortfine quickly realizes that Izetta's immense powers can be used to help Eylstadt, and the rest of the world, fight Germania. The only catch is that Izetta's magic relies on “ley lines” that transport magic through the land, and she can't fight where there are no ley lines to give her magic. Ortfine and the kingdom of Eylstadt must plan their battle strategies around this weakness, while Germania fights and sends special agents to discover Izetta's weaknesses and take down Eylstadt's most powerful weapon. The anime is visually well crafted, with gorgeous backgrounds showing off the architecture and landscapes in this pseudo-European setting. Rather than being dark or desaturated like much of war media is, Izetta is brightly colored and carries a constant feeling of hope as the plot navigates through the trials of battles both physical and emotional. 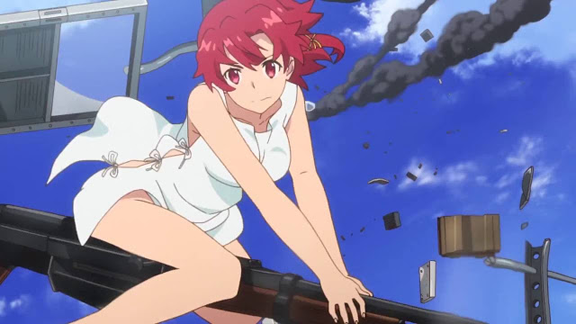 Color is also emphasized in characters; Izetta's bright red hair marks her as distinct from other people, and makes her abilities a natural accompaniment to her standout appearance. There is also clever use of the contrast between green and red, green representing life and benevolent forces, and red representing death or harmful actions. The animation is compelling, keeping its consistent quality whether it shows intimate conversations or complex fight scenes, and the special effects usually enhance rather than distract, a tricky balance in a show filled with magic. There are moments when the effects can be obvious against the 2D animation and takes away from a scene rather than adding to it, but on the whole it is well used. As for the animation itself, it is well paced and entertaining to watch, with some impressive shots used during Izetta's intense battles against Germanian war forces that kept me anticipating her next move. In the story, Izetta and Ortfine have a close friendship that has some slight romantic undertones, although nothing overt, as happens many times in anime that features friendships between young women. The character designs didn't appeal to me on the basis that most of the male characters have drab or simple designs while the women are made to look overly cute or sexually appealing. While I understand this is a common trait in anime, it's not what I was looking for in Izetta with its focus on war and personal conflict. Nevertheless, Ortfine and Izetta's friendship is earnest and heartwarming, and tangles with the plot as Ortfine worries that using Izetta's magic as a weapon of war will end up destroying someone she cares about deeply. If you want something entertaining with a serious tone that focuses on two young women and their struggles in a difficult world, I recommend giving Izetta a try.